If you have any questions about the Darwin Class 95 information page below please contact us. 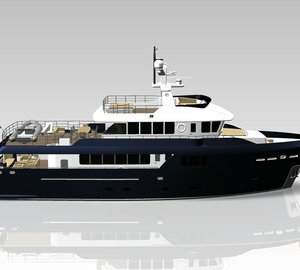 28,95m motor yacht Darwin Class 95 is a stunning, eco-friendly explorer vessel built by the Italian shipyard, Cantiere delle Marche. 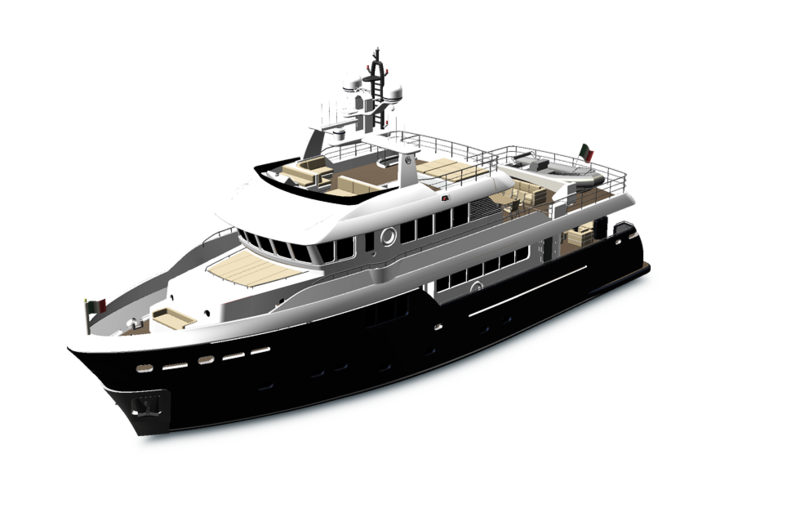 Designed by Hydrotec, the Darwin Class 95 superyacht features beautiful interiors by Pierluigi Floris and Marco Veglia. Her launch is in 2013. 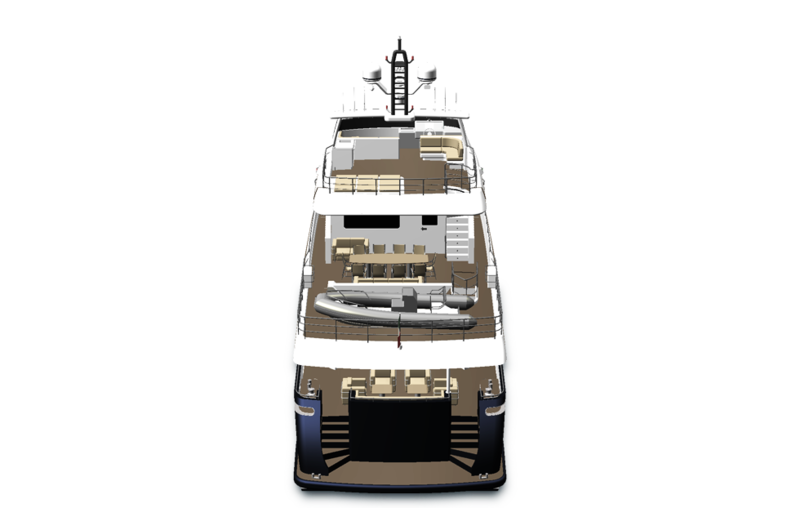 8 guests can be easily accommodated in 4 highly comfortable cabins on board the luxury yacht Darwin Class 95, offering contemporary, linear and very luminous interior, with a total white lower deck enriched by details in essence. She is managed by a crew of 3, sleeping in two crew cabins. The spacious exteriors are created to evoke the very best sensations every minute of the life aboard, featuring the lovely sundeck of about 50sqm. CdM super yacht Darwin Class 95 is powered by twin Caterpillar C18 engines, delivering her a quiet, vibration-free maximum speed of 13 knots, with a cruising speed of 12.5 knots. She boasts a beam of 7.43m (24´37´´), while her draught is of 2.30m (7´55´´). Among the Darwin Class 95´s special features belong the extra-thick steel plates, the Cupro Nickel piping, the remote controlled valves as well as the automatic parallel device for gensets’ management. 8 guests can be easily accommodated in 4 lovely and comfortable cabins on board the CdM superyacht Darwin Class 95, offering contemporary, linear and very luminous interior, with a total white lower deck enriched by details in essence. She is managed by a crew of 3, sleeping in two crew cabins. 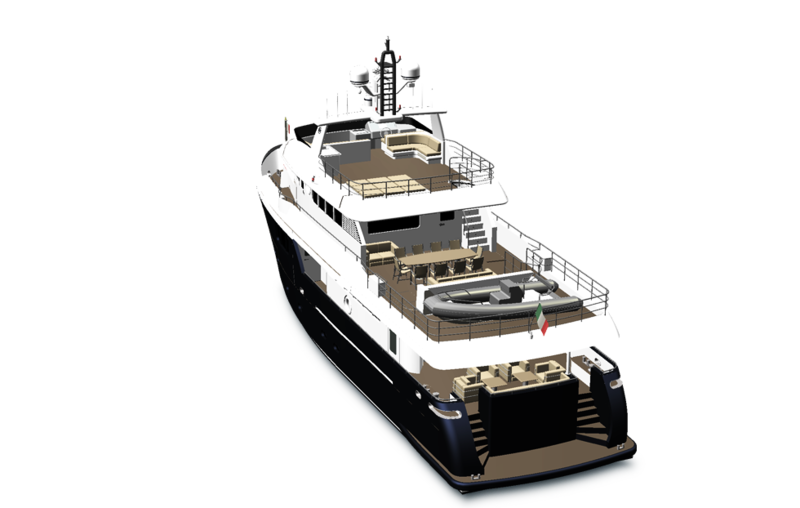 The spacious exteriors are created to evoke the very best sensations every minute of the life aboard, featuring the lovely sundeck of about 50sqm. We do have available further amenity, owner and price information for the 28.95m (95´) yacht Darwin Class 95, so please enquire for more information. The luxury yacht Darwin Class 95 displayed on this page is merely informational and she is not necessarily available for yacht charter or for sale, nor is she represented or marketed in anyway by CharterWorld. This web page and the superyacht information contained herein is not contractual. All yacht specifications and informations are displayed in good faith but CharterWorld does not warrant or assume any legal liability or responsibility for the current accuracy, completeness, validity, or usefulness of any superyacht information and/or images displayed. All boat information is subject to change without prior notice and may not be current.